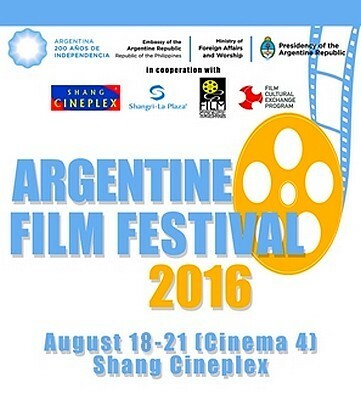 Get your tickets to the Argentine Film Festival 2016, happening from August 18 to 21 at the Shang Cineplex in Shangri-La Plaza. With a diverse medley of works, filmgoers are sure to have a valuable experience with the colorful cinema of Argentina. In the line-up are romantic comedy Sidewalls, The Man Next Door, the drama Paulina, noir thriller Betibu, and comedies The Mystery of Happiness and Fermin, Glories of Tango. Entrance is free on a first-come-first-sertved basis.